14k yellow gold hammered heart pendant. Heart measures approx. 13/16" wide x 5/8" tall (just under 1" tall with hoop). Gold weighs approx. 1.86 grams. 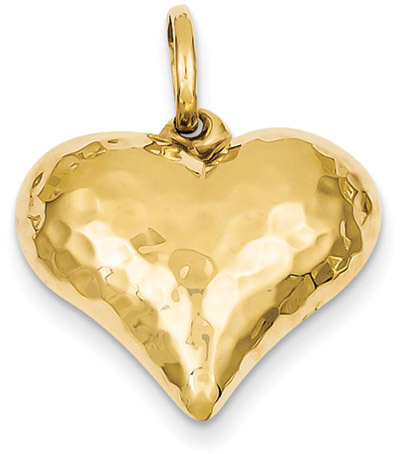 View our complete collection of quality Gold Heart Pendants.